It is no surprise that Valentine’s Day is one of the biggest date nights of the year. It is also a great opportunity to take someone special on a first date – which might present a problem or two for those of us who are getting out of debt and are on a budget. The oldest question and probably the biggest problem is; how can I make my date feel special without blowing up my budget? It is a question that is as old as romance itself… okay maybe not that old – but still. Some of us will let ourselves off the budget hook on Valentine’s Day. If you have a date, especially a FIRST DATE, you might think that this is reason to celebrate – so you go over the top. Others of course – the really frugal type and still trying to pay off debt – will do everything short of making your date pay their own way. So, how do you handle this dicey situation? How do you walk through this romantic minefield without blowing your budget… and maybe even manage to score a second date? Well we are here to help. Here a few do’s and don’ts to avoid on your valentine’s day date. Nothing says, “Only the best for you my lovely lady”, like a shriveled, torn coupon for one free appetizer with the purchase of desert for R50 or more. Those free cheese sticks and homemade bread just might make her love you forever. On a serious note though, using a coupon ripped out of a newspaper or magazine isn’t cool on a FIRST DATE, or date night on Valentine’s Day. If you must use a coupon on the first date, do it discreetly. Think of your Valentine’s Day date as a monthly budget. Instead of planning your spending for the whole month, you are planning for the one night. Almost all restaurants have a menu on their website these days, so you can get a good idea of how much you’ll have to spend ahead of time. So do your research first – and try find restaurants that have specials on the night – so you don’t have to look for coupons. Nothing says you are a cheapskate like tipping your server poorly. This really has nothing to do with your date; it’s just the right thing to do. If you don’t have the money to give at least a 10% tip for good service, then you don’t have the money to go out to a restaurant – then just stay at home. And if your date picks up on the fact that you skimped on the tip, good luck getting a second date. No likes a cheapskate! 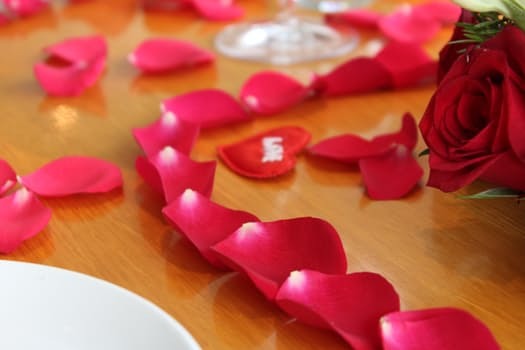 On the other hand, you might be tempted to go all out and pull out the stops to impress your date with a dozen roses, a bottle of champagne, and a R500 dinner. After all, what girl wouldn’t like to be swept off her feet? Well, maybe someone who thinks the only logical next step to the first date this extravagant is popping the question. Most ladies might love this but some may be scared off and besides that, when you set the bar that high right off the bat, there is nowhere to go but down! We say this with love, but if your financial situation is so bad that you have to ask for an extra plate and cut a 400g steak in half, then you shouldn’t be going to a restaurant on Valentine’s Day. You are probably thinking…”Huh who would do that?” Trust us, we are not making this up, it really does happen. Stay in and cook something at home for your date. Have a picnic in the park, do something creative and different. But for the love of all things good and romantic, don’t ask to share an entrée on your Valentine’s Day date – especially if it is a first date. Trust me, she will appreciate the thought more than you spending a lot of money. This might be the tackiest thing you can do on a first date. Yes, it’s okay to talk about hopes and dreams and what you want to accomplish but don’t talk about how much money you make. Don’t even try to work it into the conversation because it will just sound desperate and forced. Don’t try make it into a joke either and mentioning it in a “hahaha” kind of way. Yeah, not funny. Not funny or cute at all. Your mom taught you better and if she didn’t, we are teaching you better right now. So don’t do it. It also attracts the wrong kind of girls. Valentine’s Day dates can be awesome, or they can be terrible. Sometimes, things just aren’t meant to be. The date might not go well, and that is okay. Just make sure you don’t contribute to an awful date night by doing any of these things. If you are on a budget and want to sweet a lady off her feet, make sure you use your money wisely. If you are having trouble with getting your finances back in order – you should probably think about going under debt review. A debt counselling can help you get ready for your next valentine’s day date.